Once in a while it takes something special, maybe a place, a person or a community to make really good food. Food that is sustainable, has a low impact on the environment, food that is understood by those who love what they do and who have a deep respect for their surroundings and ecosystem. 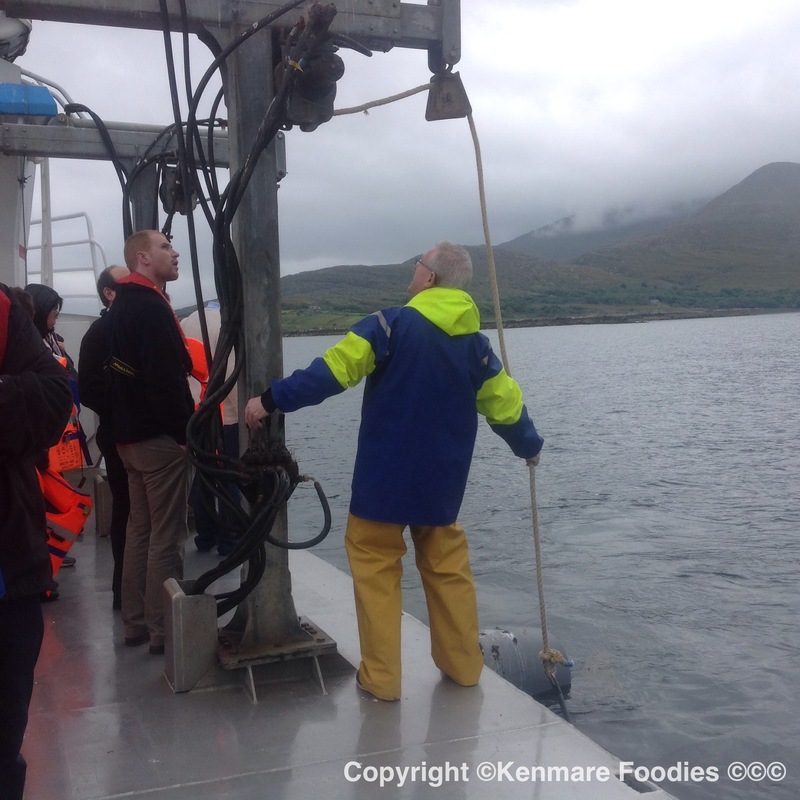 You see last week we went on a boat trip….. It was a Wednesday morning in late September. 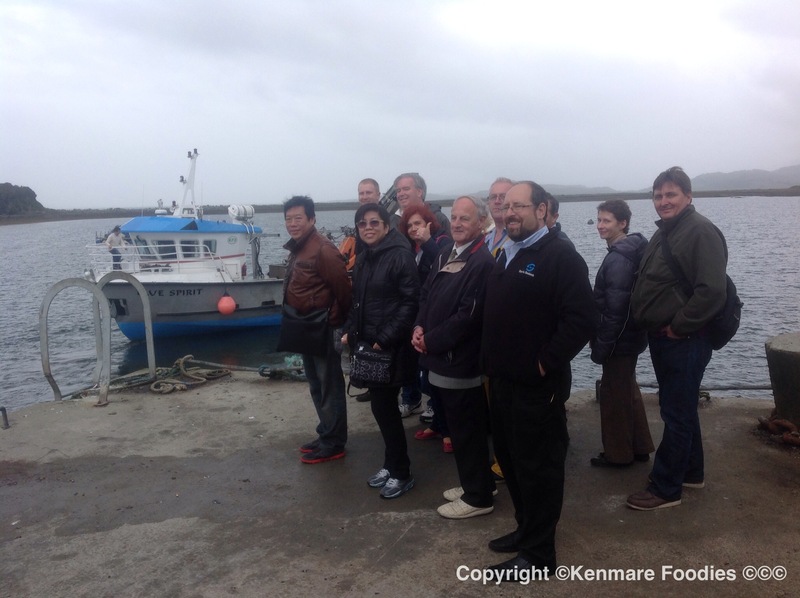 Bord Bia had invited purchasers from different parts of the world to meet with local food producers all over Ireland and to attend a one day conference in Dublin. 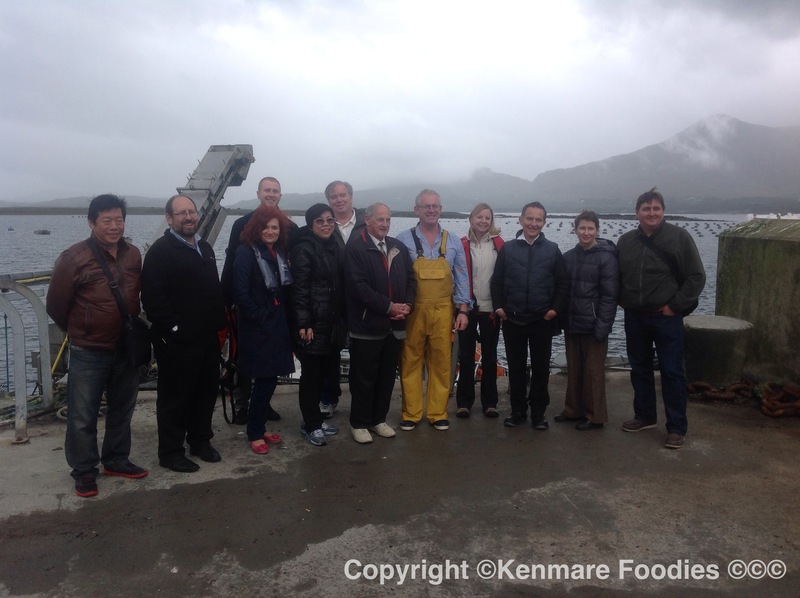 Derick and I were thrilled to be invited along by Kush Organic Mussels when they were taking a delegation of 11 from the US, UK, The Philippines and Australia on their boat to see their mussel farms and to learn all about this amazing little mollusc. I have grown up by the sea and have lived with mussel farms all around me but even I had a lot to learn. Kush was set up by brothers John & Flor Harrington (both school teachers) as a hobby in 1987. 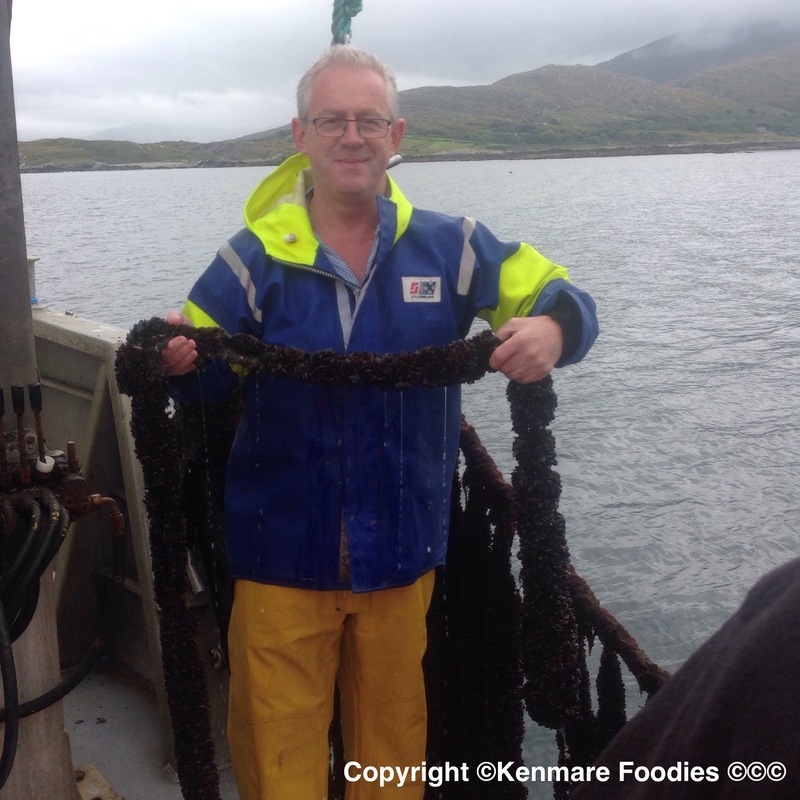 They started mussel farming in their native Ardgroom which is in an area of unspoilt tranquility on the Kenmare Bay side of The Beara Penninsula. From the moment John started to speak on the boat I knew we were in for something special, his passion for what he does and his knowledge of the raw materials are an inspiration and also something that as a consumer I would value greatly and have a deep trust in. The ethos of Kush is that the raw materials have to be happy and undamaged. This type of Mussel farming is as natural and Eco friendly as can be. It is a low carbon, low footprint food making it one of the worlds best #SMARTFOOD and a natural, sustainable source of protein. 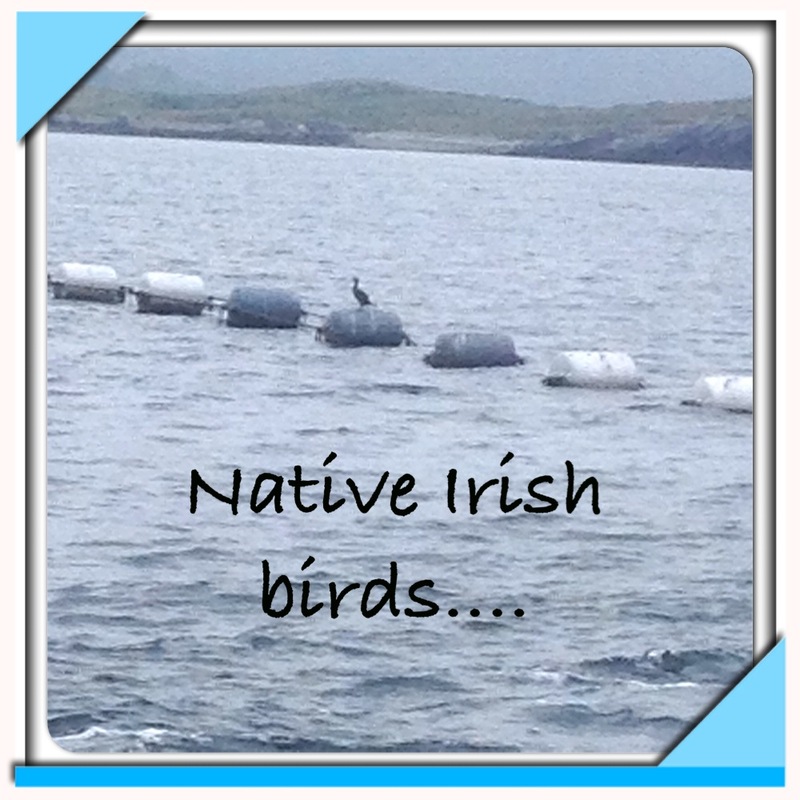 Every thought has been put into the environment, the barrels are a low impact grey so they don’t interfere with the wildlife and indeed there were Black Herons bobbing happily on them out on the bay. 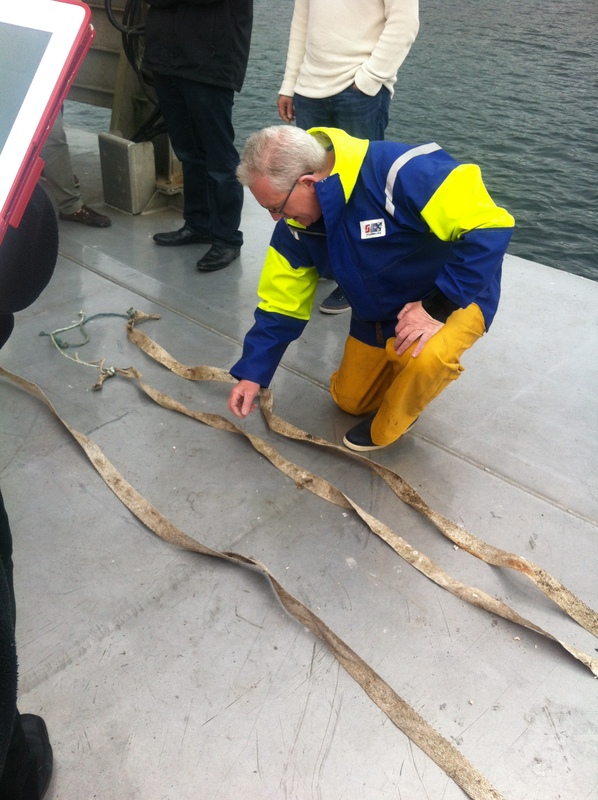 The ropes used are organic grade as is the diesel in the engine. 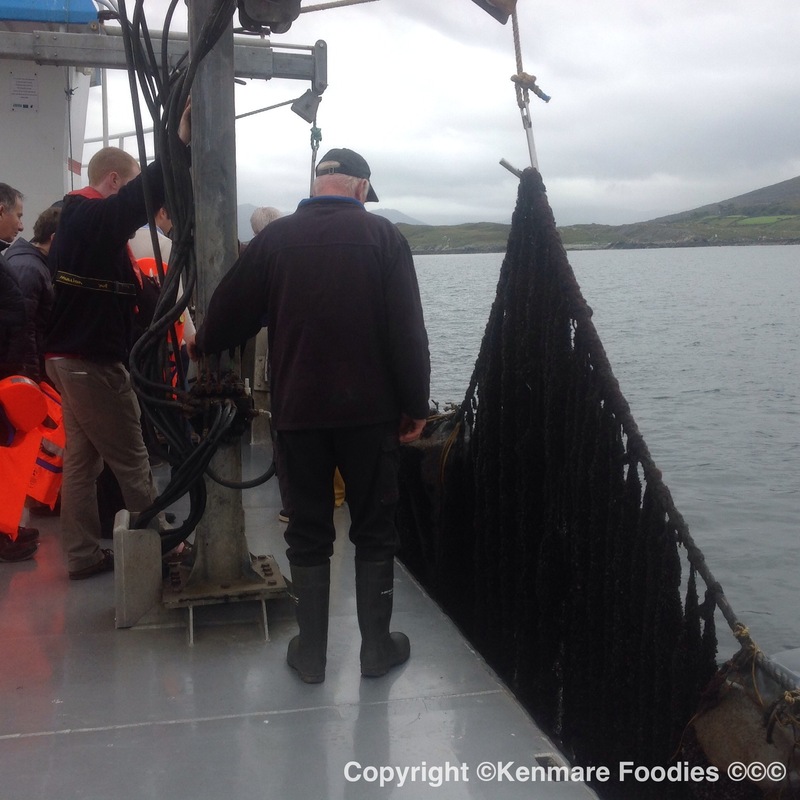 Mussel farming is so very natural, every year millions of mussels larvae are born, these larvae float in the water looking for something to cling to so they can grow and Kush provide this by putting 20-25 thousand ropes in the water every June. The mussels then attach themselves to these ropes where they feed on phyto plankton. A mussel on average pumps 4 pints of water per hour through its system and they take around 24 months to fully grow for harvesting. The one thing that astounded Derick and I was how crystal clear the waters these ropes hang in are. Peering over the side of the boat we could glimpse the ropes a long way down. John explained that these are Class A waters and a designated SAC ( Special Area of Conservation ) an area like a National Park. Looking back towards the shore John pointed out the lack of houses, this means there aren’t unwanted nutrients entering the waters here. There were all but a few houses dotted among the rocky coastline. This is something you want to hear when you know these little delicacies are pumping water through their valves at that rate. Being Class A waters means that you can pick these mussels and cook them without having to purify them, something my father used to spend hours doing when I was a child. Another beauty of Kush Organic Mussels is that while on the boat John was able to point out to us the houses back at shore of the people who work for them. I love that this is something that is within a community. The flip side is that onshore in Kenmare where their office is based they have a lot of people from France and Spain working for them, this I think is the best of both worlds as it’s good to learn from other countries especially when it comes to the processing side. We were treated to a wonderful lunch of mussels back on dry land in a very charming shop come cafe owned by Johns sister. The meal include the tastiest, sweetest mussels of which some had been topped with garlic & breadcrumb and grilled (one of my favourites) and others which were cooked in delicious sauces, one of which had one of our wonderful emerging craft ciders in it. The highlight for me was a tasting of a very delicious and soon to be launched Mussel Soup. Those of you familiar with French fish soups which you buy off the shelf in France will be delighted to see an Irish company taking this concept and launching it here. It is a beautiful well balanced, well flavoured, fresh tasting soup where neither the fish or the vegetables over power each other. We look forward to seeing this unique and local company grow not only here in Ireland but also in the new markets waiting abroad. Why not try a big bowl of Steamed Kush Organic Mussels Marinière and check out their great competition that will be taking place on Sunday 24th November in Kenmare with Kenmare Foodies.